Fleetwood Mac, live at the Record Plant, San Francisco on 15th December 1974 Fleetwood Mac was in a state of flux in late 1974. Their new album “Heroes Are Hard To Find” had just appeared, but guitarist Bob Welch was about to depart and they were battling their former manager, who had put together a bogus version of the band. With Lindsey Buckingham and Stevie Nicks about to join, this fascinating set performed at the Record Plant on 15th December, for broadcast on KSAN-FM captures the previous line-up just before its collapse, on a superb set that spans early classics and more recent favorites. It s presented here with background notes and images. Fleetwood Mac debuted their new revamped lineup by performing “The Chain” and “Gypsy” on Wednesday’s edition of The Ellen DeGeneres Show. The televised appearance marked the longtime band’s first time playing live alongside guitarists Mike Campbell, formerly of Tom Petty and the Heartbreakers, and Crowded House’s Neil Finn, both of whom stepped in after Fleetwood Mac fired Lindsey Buckingham last April. Both guitarists featured prominently in the performances, flanking to the left and right of Stevie Nicks; on both “The Chain” and “Gypsy,” Finn handled the vocal parts previously sung by Buckingham, particularly on “The Chain,” where Finn and Nicks showcased their budding vocal chemistry. They played two classic songs, “The Chain” and “Gypsy,” which you can watch below. Campbell then switched guitars in order to play the song’s outro solo. For “Gypsy,” Campbell pulled double-duty, playing guitar as well as the song’s keyboard hook. After “The Chain,” DeGeneres hugged Stevie Nicks and briefly spoke with the singer. The host acknowledged that it was a thrill to have them on her show because Fleetwood Mac usually don’t perform on TV. Nicks introduced Finn and Campbell and promoted the band’s upcoming tour. DeGeneres added that her show is giving away a pair of tickets to every date. You fans can enter the contest at her website. Fleetwood Mac’s tour begins on October. 3rd in Tulsa, Oklahoma., with the first leg wrapping up with two nights at the Forum in Los Angeles on December. 11th and 13th. “I have dreamt of one day working to present a documentation of the early story of Fleetwood Mac. This moment has arrived! And I’m thrilled to be in the safe hands of Genesis Publications.” – Mick Fleetwood In 1967 Fleetwood Mac debuted at the Windsor Blues and Jazz Festival. 50 years later one of its founding members Mick Fleetwood documents the rocky beginnings of a band that emerged from what is now referred to as the British Blues Boom. Mick Fleetwood is a self-taught drummer and a founding member of one of the most successful bands of the last 50 years, Fleetwood Mac. Released in 1968, their first album Peter Green’s Fleetwood Mac came in at no.4 in the UK charts and brought the band overnight success. They went on to release the no.1 hit ‘Albatross’ and a series of critically acclaimed albums, with further hit singles including ‘Black Magic Woman’ and ‘Need Your Love So Bad’. A constant in Fleetwood Mac’s frequently changing line-up, Mick Fleetwood took over management of the band two years before they released Rumours which – having sold over 40 million copies worldwide – remains one of the best-selling albums of all time. This official limited edition chronicle, “LOVE THAT BURNS”, contains over 400 rare images and an original manuscript of over 20,000 words with exclusive contributions from early Fleetwood Mac band members including John and Christine McVie, Jeremy Spencer and the legendary Peter Green. Love That Burns contains original manuscript from Mick Fleetwood recounting his childhood, early bands, Fleetwood Mac’s debut performance, first international tours, live gig antics, playing with blues legends at Chess Studios, the genius of Peter Green and the many talented members that formed Fleetwood Mac in the years before 1975. 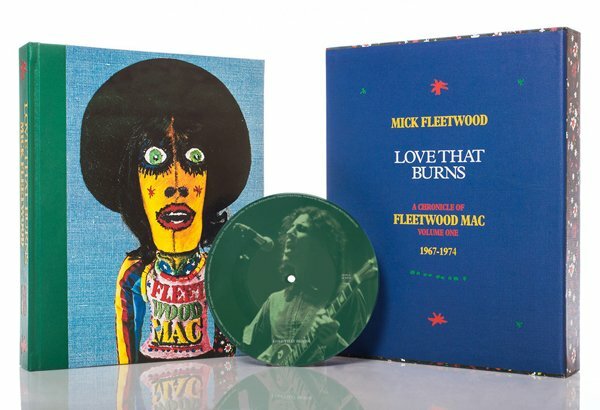 An exclusive 7″ vinyl picture disc includes ‘Love That Burns’ from the 1968 album Mr Wonderful, and a rare instrumental track recorded in June 1967, entitled ‘Fleetwood Mac’, from which the band took it’s name. Danny Kirwan, the former guitarist of Fleetwood Mac who was with the band for several albums in the late ’60s and early ’70s, has passed away at the age of 68 during last week. The news was confirmed by Mick Fleetwood and the band via a post on their social media. Fleetwood Mac’s , Danny Kirwan, who was once the perfect foil for the band’s founding guitarist Peter Green, has sadly passed away at the age of 68. Danny was with the band from 1968 to 1972. Danny was still in the band for a while after Christine joined. He wasn’t an original member of the band; Jeremy Spencer was Peter Green’s original guitaring partner, and he remained for a while after Danny joined, but Danny very clearly helped take the band into new terrains. His work in tandem with Green was brilliant, and produced some of the early band’s finest moments. After Green left in 1970, Danny remained, helping to make overlooked Fleetwood Mac albums Kiln House, Future GamesandBare Trees the undiscovered treasures they still remain. After being fired from Fleetwood Mac for alcoholism in 1972, Kirwan released a number of unsuccessful solo albums, but sadly by the end of the decade his mental health was deteriorating. He endured long periods of homelessness in the 80s and 90s. 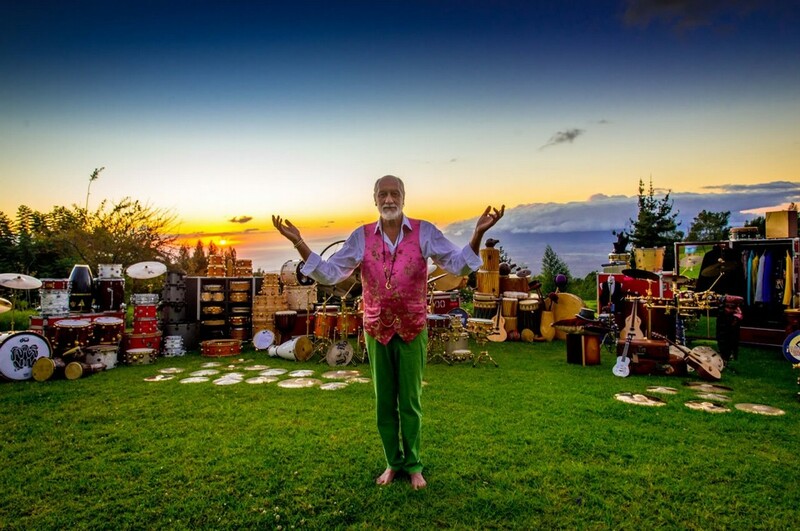 Mick Fleetwood asked Missing Persons to find him in 1993. At their most guitar-centric Fleetwood Mac, featured not two but three players on the guitar. In 1969, the group hired 18-year-old Danny Kirwan to add a new hue to the palate created by the original line-up featuring guitarist Jeremy Spencer and star player Peter Green. To Spencer’s rockabilly flair and Green’s hard blues power, Kirwan brought more melodicism and nuance. Their three-way frisson came to fruition on the band’s third album, ‘Then Play On’, especially in songs like “Oh Well” which presented a blues riff so tight, Mac kept it in their set through multiple personal changes for decades to come. Another song from that album, “Searching for Madge,” let Green and Kirwan spar in a ten-minute free jam. A particularly hot version of another song from that era “Rattlesnake Shake” , appeared on the band’s “Live In Boston” the guitars slashed and burned with a violence the band rarely achieved in the studio. On the other end of the spectrum, Kirwan and Green made their instruments sweetly entwine in “Coming Your Way” , a song the former wrote which opens ‘Then Play On’. The whole set is more like a seamless `suite` of songs, with two instrumentals dedicated to a devoted Mac fan named Madge punctuating them. I bought the original LP and played it a lot. It sounded unlike anything else at the time, and it still has a unique feel to it. What is such a relief is to find how wonderful it still sounds, after so long. The interplay between Spencer and Kirwan came to the fore on the 1970 studio next release “Kiln House”, cut after Green left. One year later, Kirwan found a new sparring partner in the American-born Bob Welch. 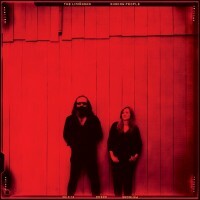 French psych duo The Limiñanas have announced their new album ‘Shadow People’ which will be released on 19th January on Because Music. One of France’s most beloved treasures, The Limiñanas are Marie (drums/vocals) and Lionel (guitar, bass, keyboards and vocals). Hailing from Perpignan, the duo straddles the boundary between psych, shoegaze, and yé-yé. With hazy, reverb-laden hooks, combined at times with noisy distortion, and fronted by effortlessly cool vocals, reminiscent of Serge Gainsbourg and Brigitte Bardot, the band is at once timeless and quintessentially French. When James Mercer was recording his latest Shins LP Heart Worms as a creative exercise he decided to re-record the songs in the opposite way of the originals. Songs that were more rock and uptempo became more acoustic and slow, and songs that were acoustic and slow in tempo became more upbeat. They were flipped. The result of those sessions he calls, The Worms Heart. What began as an exercise in songwriting transformed into a commentary on what it means to be a songwriter. After writing the first track for Heartworms (released 10 March 2017), James Mercer decided to recreate each song from scratch. Driven by its malleability, its ability to be foundationally identical, yet aesthetically and sonically utterly new, Mercer continued experimenting until he had two complete albums: one original and one “flipped”. Mercer’s ability to create two totally divergent albums from the same underlying compositions not only highlights his immense capability as a songwriter, but also functions as a reminder of what it means to be an artist, how an artist acts as both the master and facilitator of his artistic product. Their first release since 2015’s Why Choose and their second album to be released on FatCat Records, Post-Punk trio Shopping return with an album that fans of their earlier records will undoubtedly find satisfying. Recorded over 10 days by Edwyn Collins, the latest album stays true to the minimal dance-punk ethos of Shopping’s previous efforts, but seeks to”amp up the party vibe”. Coming off the back of an unrelenting cycle of touring, having made their way across the UK, Europe, and the US, the band found themselves without a natural home as the band’s London rehearsal and writing space closed down. Then their drummer, Andrew Milk, relocated to Glasgow, and the band could suddenly no longer spontaneously get together to practice or write. The distance added an element of pressure: “As a band that only ever writes collaboratively, it’s essential for us to actually be together in the room before any songs start to formulate. It can be a little daunting when we all turn up, and we only have an afternoon to pull a song out of thin air”. Add to that a sprinkling of Brexit, Trump, a principally imploding world, and you’ve got yourself The Official Body— Shopping’s second album to be released on FatCat Records. Swedish siblings Klara & Johanna Soderberg, release their eagerly anticipated new album “Ruins” via Columbia Records. This will be the girls’ 4th studio album & a follow up to the critically acclaimed breakthrough album “Stay Gold”, released in 2014. 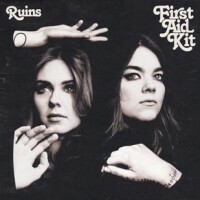 “Ruins” is a 10 song album, recorded in Portland, USA & produced by Tucker Martine (My Morning Jacket, Laura Veirs). Collaborators include Peter Buck (REM), Glenn Kotche (Wilco) & McKenzie Smith (Midlake). After signing to Rough Trade earlier this year, they quickly released their debut single “Ants”, which caught the ear of Elton John who played the track on his Beats 1 radio show. Soon after, they were on the cover of LA Weekly – their hometown paper. 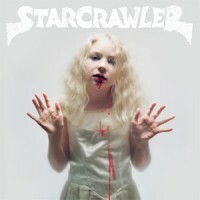 The headline was “With Fake Blood and Frenetic Songs, Starcrawler make rock feel dangerous again”. In the article, Arrow describes that “bands are boring nowadays” and that “there’s no mystery”. That helps explain a little bit of why their shows have become the stuff of legend. They also recently played LA’s CalJam Festival, which is curated by Dave Grohl (Starcrawler was the first band he reached out to, and he raved about them the next day on KROQ.) Gerard Way is also a fan, describing them as a “mix of 70’s theatricality and Stooges electricity. Fleetwood Mac reissue their 1975 eponymous album. This album was the first of the most successful incarnation of Fleetwood Mac, where Lindsey Buckingham and Stevie Nicks joined Mick Fleetwood, John McVie and Christine McVie to form the legendary band who continues to be highly successful to this day. The album introduced a smoother more radio-friendly sound and a new beginning and by 1977 the emotional monolith of Rumours would make them one of the biggest bands on the planet. CD – Newly remastered version. 2CD – Expanded edition. The first CD features the original album with newly remastered audio, as well as single mixes of Over My Head, Rhiannon, Say You Love Me and Blue Letter. CD2 features an alternate version of the album comprised of unreleased outtakes for each track, as well as previously unreleased live versions from 1976. 5CD – Deluxe 3 CD / 1 DVD and 1 LP Set. Comes packaged in a 12×12 embossed sleeve with rare and unseen photos along with in-depth liner notes written by David Wild, as well as new interviews with all the band members. The deluxe editions features a newly remastered version of the original album along with single mixes for Over My Head, Rhiannon and Say You Love Me. Also included is a second disc with an alternate version of the complete album comprised of unreleased outtakes for each album track, plus several unreleased live performances from 1976. The third disc includes even more unreleased live recordings, including stellar performances of Landslide, Oh Well and World Turning. Also included in the deluxe edition set is the original album pressed on 180-gram vinyl, as well as a DVD featuring 5.1 Surround Sound and high-resolution 24/96 Stereo Audio mixes of the original album and four single mixes. Limited 12″ featuring Jamie’s own Remix of On Hold. It’s comes across like Daft Punk dropping Homework on a Ibiza terrace. Four Tet is on the flip with a fresh re-rub of A Violent Noise. Mr Hebden takes the track to Berghain and drops it at 4am. A collection of unexpected and inventive takes on classics by icons as diverse as Al Green and Britney Spears, Marcy Playground and Louis Armstrong. Led by guitarist and vocalist Leah Wellbaum, with bassist Kyle Bann and drummer WiIl Gorin, Slothrust form one of the most exciting and agile trios in recent memory. The selections on Show Me How You Want It To Be showcase the diverse and discerning musicianship that has earned Slothrust an army of admirers that first began building with their song 7:30 AM, featured as the theme song for 4 seasons of the FX Network show You’re The Worst. Harkening back to their 1997 release of three consecutive EPs (Dog On Wheels, Lazy Line Painter Jane, and 3.. 6.. 9 Seconds Of Light), Belle and Sebastian release three new EPs under the umbrella title How To Solve Our Human Problems. Just as those three early EPs are at the very heart of the Belle and Sebastian canon, so these three new releases deserve to be treated not as a stopgap, but as definitive releases in their own right. How To Solve Our Human Problems is both an era of its own, and part of a long, rich history. How To Solve Our Human Problems is, if you like, Belle and Sebastian Redux. 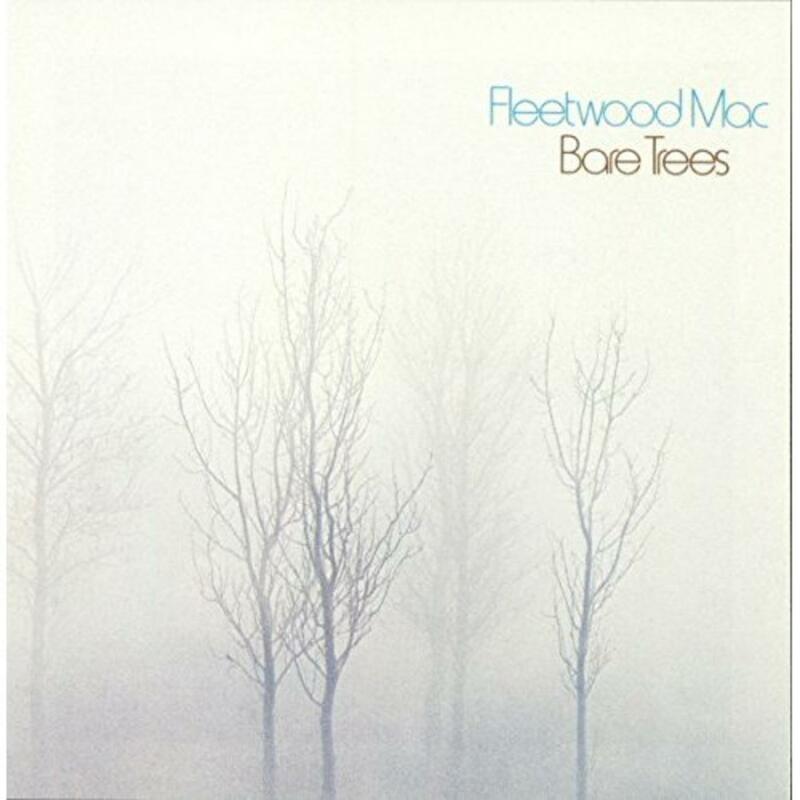 “Bare Trees” is the sixth studio album by British-American rock band Fleetwood Mac, released in March 1972. This is their last album to feature guitarist Danny Kirwan, who was fired during the album’s supporting tour. In the years before Fleetwood Mac became a household name, the British/American band spotlighted a succession of blues-inspired guitar aces, and on “Bare Trees”, that slot is held down by Danny Kirwan. “It’s a well-rounded album,” noted drummer Mick Fleetwood of the 1972 Reprise set. “Like Lindsey [Buckingham], Danny had the chops with layering techniques, and the ability to know what’s right and wrong in the studio.” Kirwan also penned half of the 10 songs here, including the terrific “Dust,” His “Sunny Side of Heaven” was an instrumental, which, at the time, was mixed in with some radio station sign-offs. “Danny’s Chant” features the use of wah-wah guitars, while the lyrics for Kirwan’s composition “Dust” were taken from a poem by Rupert Brooke.”Trinity”, another Kirwan song, was an outtake from the album that was subsequently released in 1992 on the 25 Years – The Chain box set. Christine McVie and fellow guitarist Bob Welch also contribute winners in “Spare Me a Little of Your Love” and “Sentimental Lady,” respectively. If you have any interest in exploring the music of the Mac before the Buckingham-Nicks era, make Bare Trees your first stop. 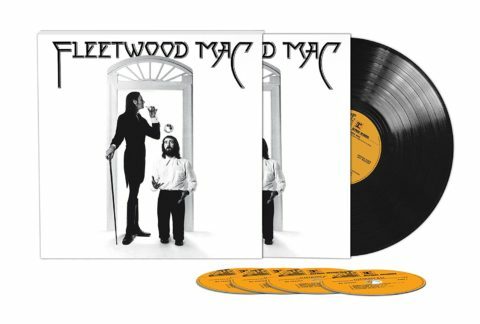 The 1975 eponymous album by Fleetwood Mac (that features the current line-up) will be reissued as a five-disc super deluxe edition in January 2018. The original album is newly remastered and features on CD and vinyl LP in the box set. The CD also includes the original single mixes of Over My Head, Rhiannon, Say You Love Me and Blue Letter. Like the previous Fleetwood Mac sets there’s plenty of unreleased outtakes, the super deluxe features a completely alternate version of the album (none of it ever released before), along with a handful of live tracks and a couple of jam/instrumentals. 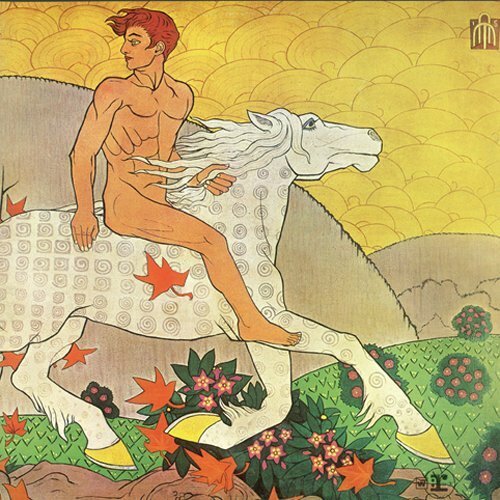 Released in 1975, Fleetwood Mac will be given a special reissue treatment . 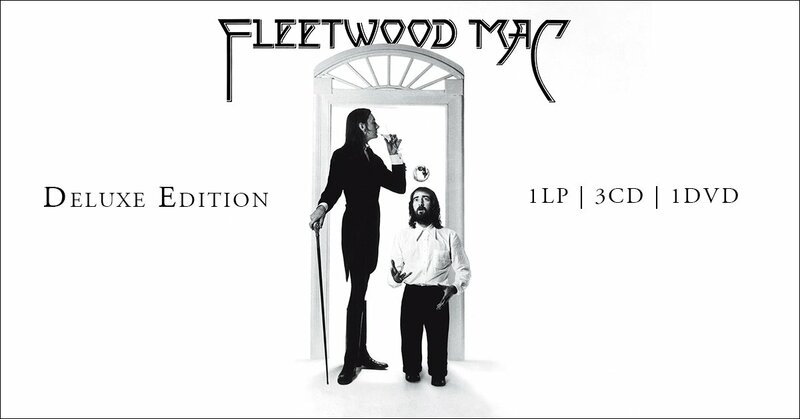 The album — the first to feature the quintet Lindsey Buckingham, Mick Fleetwood,Christine McVie, John McVie, and Stevie Nicks — featured the hits and live staples “Landslide” (Nicks), “Rhiannon” (Nicks), “Monday Morning” (Buckingham), and “Over My Head” (Christine McVie). 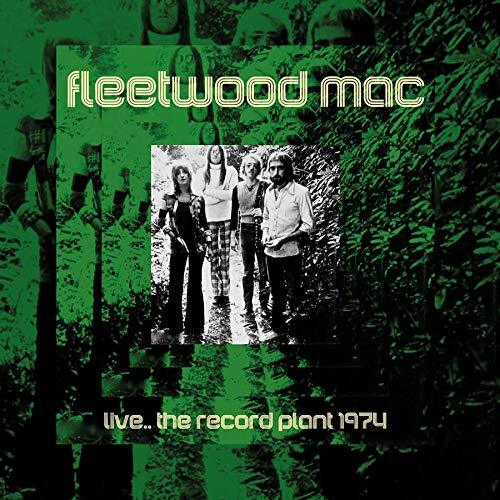 The third CD features 14 live tracks (all previously unreleased) while disc four is a DVD which features a 5.1 surround sound mix of Fleetwood Mac, a hi-res stereo version of the album and those four single versions. 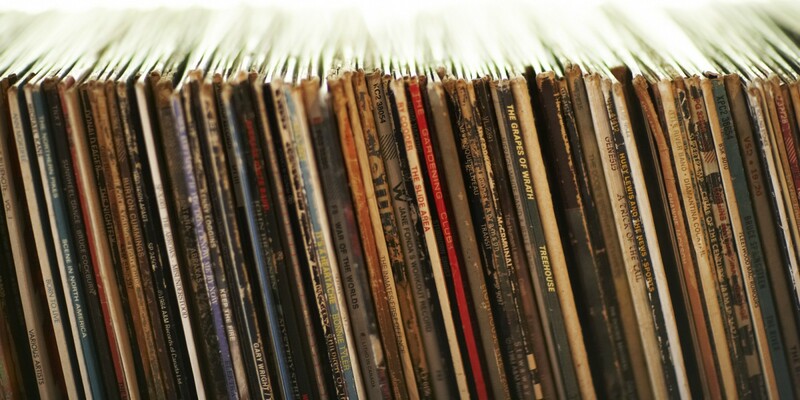 Completing the set is the LP version of the original album pressed on 180-gram vinyl. The packaging sounds consistent with what was issued for previous albums (Rumours, Tusk, Mirage and Tango In The Night) since this comes in a 12″ x 12″ embossed sleeve with in-depth sleeve notes and new interviews with all the band members. This five-disc Fleetwood Mac box set will be released on 19th January from Warner Bros. Records. A two-CD expanded edition featuring the first two discs in the box will also be issued.